It's a lovely day for a stroll through Wonderland, wouldn't you say? Since the answer is always yes, the real question is what would be the perfect costume to wear on your journey? 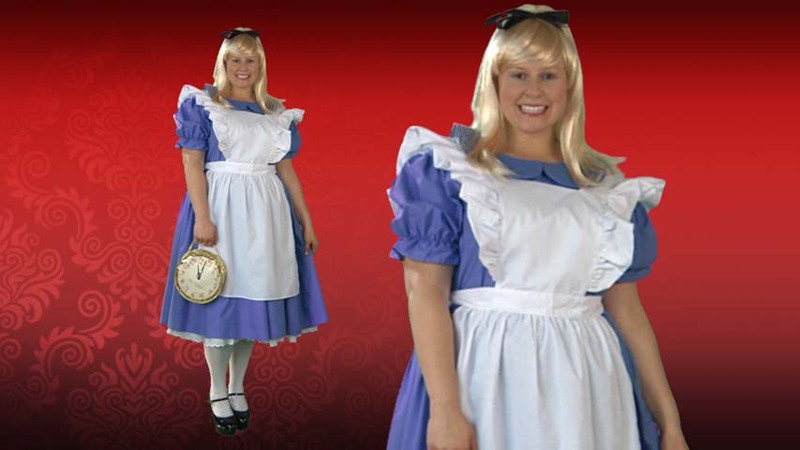 When you slip into our exclusive Deluxe Plus Size Alice Costume, you'll be the sweetest looking traveler in any land! The best part about spending the day in a place like Wonderland is that you won't have to pack very much to take with you. There are always plenty of lovely drinks and cakes just laying around and up for grabs, so you won't have to bring any refreshments (and if you can't find anything to snack on, we hear the mushrooms that sprout there are so delicious, you'll think you're changing sizes). And you won't have to bring anything for entertainment, either, since if you get bored, you can play a rousing game of flamingo/hedgehog croquet at the Queen of Heart's castle (just don't get caught!). And you can always drop by the Hatter's place, where it's always tea time! 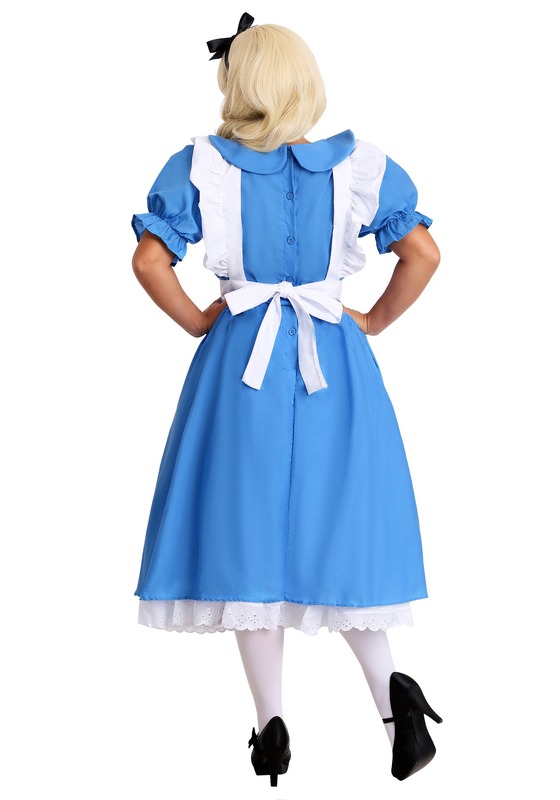 Whether you're in Wonderland, of just love looking like you are, this classically looking dress is the only outfit you'll need, too! The ruffled blue dress and matching hair ribbon is a style lifted right out of a fairy tale, and the apron adds a lovely farm girl flair. 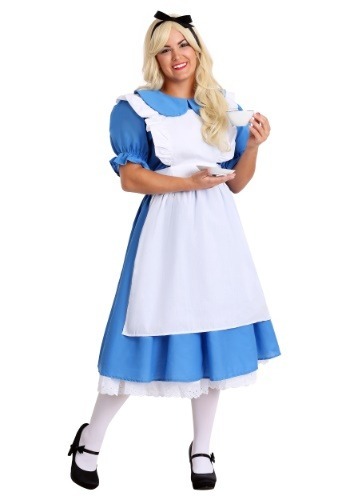 Complete this magical ensemble with a petticoat, and a pair of tights and baby doll shoes, and you'll be ready for your journey down the rabbit hole!